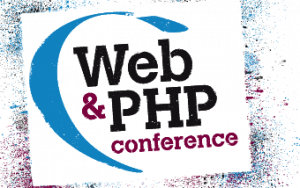 JetBrains PhpStorm Team is gearing up for a busy autumn conference tour visiting: Web&PHP Conference (September 16-18, San Jose, California), DrupalCon (September 21-27, Czech Republic, Prague), PHPNW (October 4-6, Manchester, UK) and ZendCon (October 7-10, Santa Clara, California). Come by our booth at any of these shows to learn more about the upcoming PhpStorm 7 release, catch a demo and have your questions answered by our team on the spot. Be sure to register for our free license raffle and grab one of our awesome yoyos and other surprises. Even if you don’t win a free license, we’ll send you a 20% discount for a new PhpStorm Personal License! 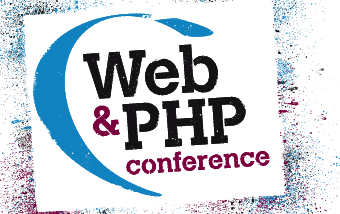 Web&PHP Conference is a three-day conference in September that will immerse you in a world of continuously evolving web technologies. Sticking with ethos of open knowledge sharing and community support, all conference sessions, keynote presentations, hacks and Expo on September 17 & 18 are free to attend! You can also use the promo code WPC13CLT to get 25% OFF on the tutorial day (savings of $49.75). JetBrains Team: Mikhail Vink (Product Marketing Manager), Maxim Kolmakov (Quality Assurance Engineer), Joyce Cho (US Sales), Paul McCabe (US Sales). DrupalCon is the official biannual conference of the Drupal community, designed to attract an international audience since Drupal became an open source project in 2001. 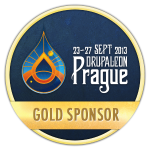 Inspired by Prague’s Astronomical Clock, DrupalCon Prague’s theme, “One to Many” embodies and explores the maturation of Drupal, and the dichotomy between its evolution and the constancy of its community values. JetBrains Team: Alexey Gopachenko (Project Lead), Mikhail Vink (Product Marketing Manager), Elena Shaverdova (Developer), Svetlana Zemlyanskaya (Developer), George Dvorak (Account Manager). Mikhail Vink will present a 30-min session “Drupal Development using PhpStorm” on Thursday, 26th September, Room Terrace 1 – Capgemini, 11:15-11:45 local time. PHPNW is a three-day conference organised by PHPNW user group begun in 2008 year. The heart and soul of a conference is the community that it serves. PHPNW is run by passionate volunteers, bringing an annual conference that benefits both developers and their companies. The Conference weekend at Manchester will begin with a hackathon on Friday, October 4, where delegates can code as individuals, pairs or groups with a burger and a drink. On Saturday the format of the day will follow previous years with an opening keynote speaker, three conference tracks and an ‘unconference’ track running alongside the official content; then a Saturday evening social to finish off the day. On Sunday there will be a continuation of the main conference, with an extra nine sessions across three tracks and a closing keynote speaker. ZendCon provides unique opportunities to learn from a wide variety of technical sessions, hear keynote presentations from thought leaders, and engage with prominent PHP speakers and vendors. JetBrains Team: Alexey Gopachenko (Project Lead), Elena Shaverdova (Developer), Paul McCabe (US Sales). Keep up with the latest PhpStorm news on PhpStorm Blog and on Twitter @phpstorm. This entry was posted in Events, News and tagged conference, phpstorm. Bookmark the permalink.